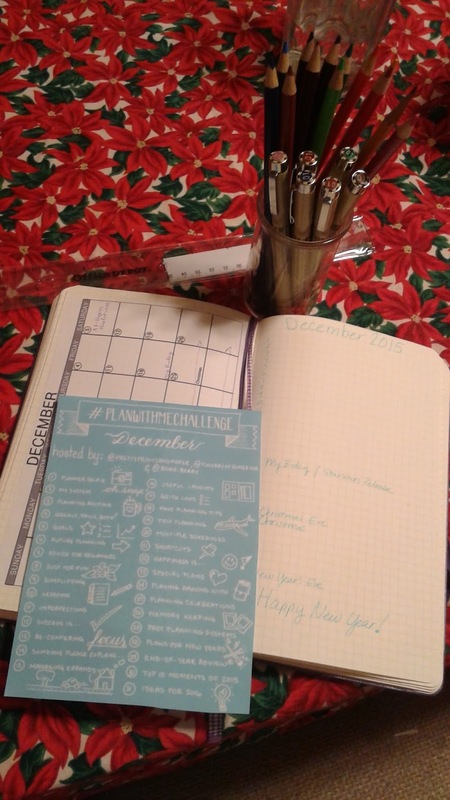 I have joined (loosely) the Plan With Me Challenge for December. I am making some decisions about my bullet journal for the coming year and want to try some things out before we get there. I am close to the end of this particular Moleskine journal, too, so there is a new one on it's way soon. I printed the list and have my calendar already in progress and I am loading it up as things get added to my schedule. I start every month with a printed calendar so I can have that visual and then I write out the list version to the right of it. For the month of December I am doing a 16 Before 2016 list, too. Want to see more about setting up a bullet journal from a great blogger on this topic? Check out Boho Berry as she shares her stuff with us! How are you preparing for the year ahead? through the holidays and into a new year? I've been using mine since September, but want to take Christmas vacation to rethink how I'm using it. To be honest, I don't have a lot of outside the house appointments to track. But I need a household tracker, menu planner and some sort of inspiration section. We'll see.